DiverCity: Scandal Drove Brussels’s Mayor From Office. Now He’s Nowhere to Be Seen. 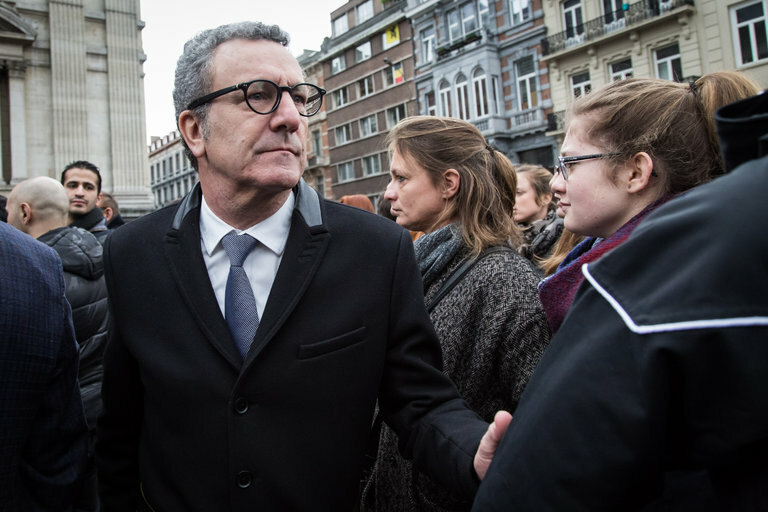 Scandal Drove Brussels’s Mayor From Office. Now He’s Nowhere to Be Seen. Yvan Mayeur, the mayor of Brussels, in 2016. He offered his resignation after an audit found that he had been paid about $40,000 over two years to attend board meetings of an agency that helps the homeless, Brussels Samusocial, even though there was no evidence such meetings took place. 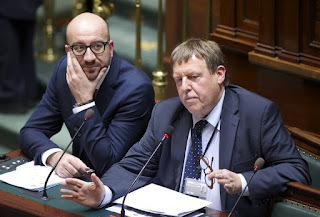 BRUSSELS — The former mayor of Brussels has vanished. On Thursday night, the mayor, Yvan Mayeur, offered his resignation at a tumultuous City Council meeting, hours after a government-ordered audit found that he had been paid 36,000 euros (about $40,000) over two years to attend board meetings of an agency that helps the homeless, even though there was no evidence such meetings took place. Since then, Mr. Mayeur has been out of view. On Friday, Belgian journalists reported that he was meeting with colleagues about his political future in an undisclosed location. On Monday, hundreds of residents held a sit-in on the Grand Place in Brussels to demand that Mr. Mayeur address the city about its future. Tuesday came and went without any evident public statement by Mr. Mayeur, 57, who had been in power since 2013. The bizarre resignation is only the latest of several corruption scandals that have ensnared politicians and sowed doubt about the health of democracy in Belgium, a country where power is divided along regional and linguistic lines, and across multiple layers of government: federal, regional, communal, provincial and local. The country famously went 541 days without a functioning government after a June 2010 election in which no party gained dominance. The complexity of governing in Belgium — which some critics have called the world’s wealthiest failed state — may create a welcoming environment for corruption. Even Mr. Mayeur’s job is hard to explain: He was mayor of the City of Brussels, which has a population of 178,552 and is one of the 19 municipalities that make up the Brussels capital region (population 1.2 million). In December, the Belgian weekly newsmagazine Le Vif/L’Express accused two dozen local officials of receiving thousands of euros for board meetings that they did not attend at Publifin, a government-run company that distributes electricity and gas in the French-speaking region of Wallonia. A criminal investigation was opened, and several local politicians resigned. Then, in February, the Flemish newspaper De Tijd revealed that the speaker of Parliament, Siegfried Bracke, had received a salary of €12,000 a year and a stipend of €2,000 per meeting to serve on the advisory board of Telenet Group, a private company that provides cable and broadband services. Mr. Bracke, who is also a city councilor in Ghent, resigned from the board. The latest controversy has elicited particular outrage, however, given that the agency that paid Mr. Mayeur, Brussels Samusocial, is intended to help the homeless. “Every euro dedicated to the fight against poverty needs to go to the fight against poverty, and absolutely nothing else,” Prime Minister Charles Michel said in Parliament, calling the revelations a “slap in the face” of social workers. Even members of Mr. Mayeur’s Socialist Party acknowledged that the situation was bad. On Friday, the Brussels prosecutor’s office opened an investigation into the management practices at the charity, to bring to light “any possible criminal offenses,” according to Denis Goeman, a spokesman for the office. But even if no charges are brought, the scandal has quickly rippled through the local government here. 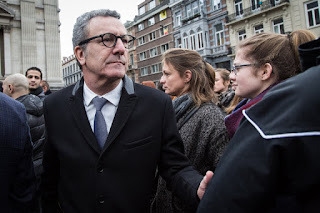 The board of Brussels Samusocial collectively resigned, as did Pascale Peraita, the director of an oversight body, the Brussels Public Center for Social Welfare, and an erstwhile ally of Mr. Mayeur’s; the center’s offices were raided on Monday by investigators. Mr. Mayeur came to office after the previous mayor and fellow party member, Freddy Thielemans, resigned in 2013. Mr. Mayeur’s likely successor as mayor, Philippe Close, may have failed to declare several unpaid voluntary positions he holds, according to local news reports. Brussels Samusocial is a private nonprofit organization and operates independently of the government, but it is largely reliant on public funds and most of its work comes through government contracts. 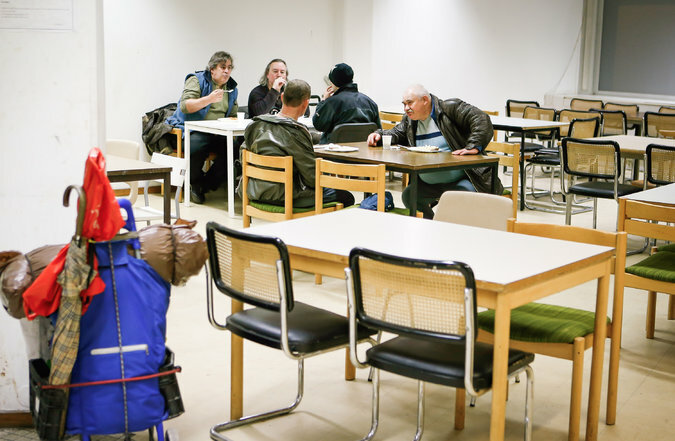 It employs 250 people — and as many as 450 people during the winter — to provide shelter, medical assistance and other services to homeless people in Brussels. “We are surprised and disappointed, and we want these practices to end, because it casts disrespect on our team, the work and the people of our organization,” said Christophe Thielens, a spokesman for the operational side of the charity, who emphasized that there was a clear distinction between the administrative and the operational sides of the organization. The authorities estimate that Brussels has 5,000 to 10,000 homeless people. Last year, at least 72 street people died, according to Collectif Les Morts de La Rue, a group that helps the homeless. Et on s’étonnera ensuite que le rating de la Belgique va encore perdre quelques points.